Looking for a special way to honor a loved one that has passed? 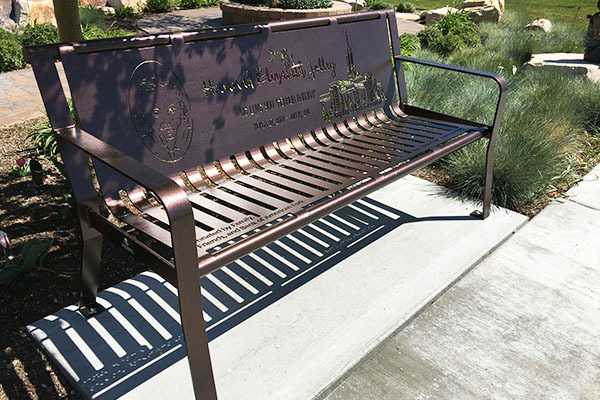 At Smith Steelworks, our team designs memorial park benches with fully custom designs options. This allows for you to decide what are the most important aspects to add to the bench design. 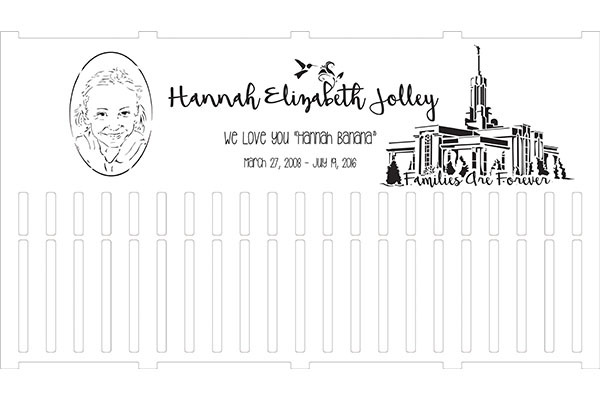 For example, the Hannah Jolley Bench features her portrait, along with the Mount Timpanogos Temple, flowers, and a nickname. 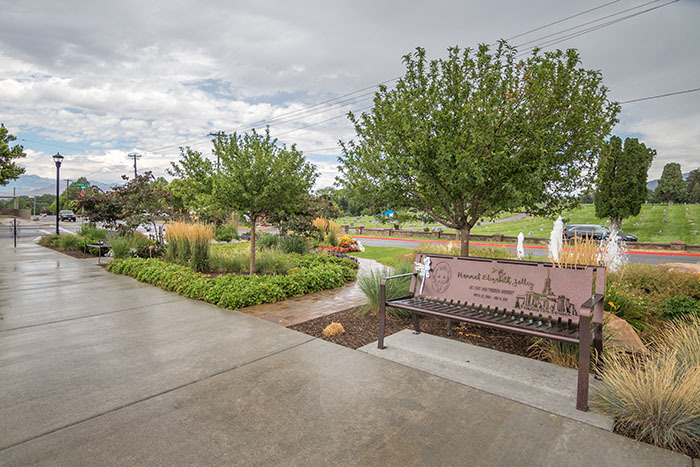 To get started on a memorial bench, give us a call today at (801) 414-1724. To get started, send us any and all ideas you have for the bench design. It can be a simple word document, AI file, or photos to use. 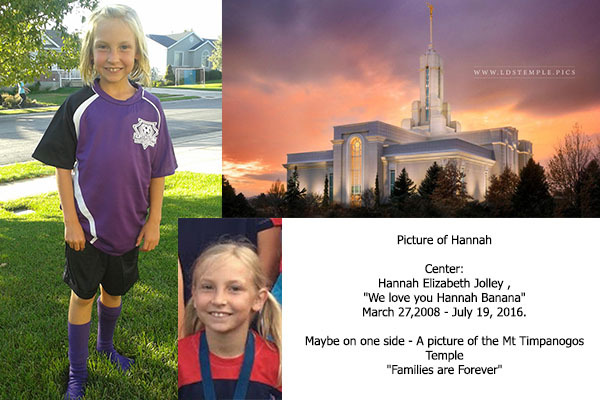 For this bench, we were sent photos of Hannah, inscription details, and the idea to add the Timpanogos Temple on the right side. After our team has reviewed your design ideas, we get right to work creating a proof. This will give you a realistic idea of how the finished product will look. You will have the opportunity to examine the bench proof and make any design changes, if needed. The memorial bench is laser cut from a single sheet of metal. It is then bent into shape and welded. Lastly, the memorial park bench is powder coated to a durable, smooth finish. You can view our color options here. It is then shipped directly to you. The memorial bench is a perfect addition to parks. Many people opt to place the memorial bench in a place that was special to their loved one. It becomes a place for the family to share memories that happened there. A passerby may take a second to read the inscription, and reflect on their own dear ones.